When Buying/Selling a Home, is Radon Testing Really Necessary? In most states, a radon disclosure is required by law during the sale of a home. Information required in the disclosure varies state by state, but usually it warns homeowners about the dangers of radon. It may also include any previous testing results or info about a mitigation system where applicable. 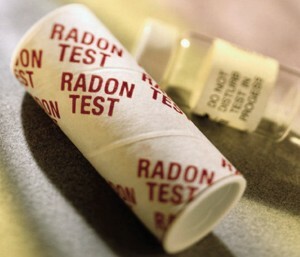 As for radon testing, it’s not required by law in an overwhelming majority of US states. The US Environmental Protection Agency DOES recommend everyone test their home for radon, including those being bought or sold. Radon testing is not expensive at all, A-1 offers Free Radon Testing within 30 miles of our offices. So it all comes down to this question: Would you rather be safe than sorry? A home with elevated radon gas levels within is a toxic and unhealthy environment. If your answer is yes, you’d rather be safe, then have your home tested. If you’re a seller, consider how you would feel moving into a new home that turns out to be dangerous. It’s not a positive experience at all, so you should also consider testing your home before listing it on the market. Should I Walk Away from a Purchase if Elevated Radon Levels are Discovered? It can be a scary prospect knowing that you’re about to buy a home that may not even be safe to live in. But there’s no reason to panic or back out of a deal. If radon is discovered while negotiations are still ongoing, you can make a request to the seller to have a mitigation system installed. If you’re negotiating with a bank – or seller who is unwilling to compromise – it will fall to you to have a mitigation system put in. In either case, don’t be afraid to research some local radon mitigators. Most radon systems cost around $800-$1000. Don’t let the discovery of elevated radon sour your deal, provided you have ample funds. Again, you will want to fix the problem before you move into the home and begin living there. Just keep that in mind. As a seller, this can be a frustrating experience especially when you just want to move on with your life. But consider the facts. Radon is the leading cause of lung cancer in non-smokers, and it claims the lives of more than 21,000 each year. Even if you think it’s a bunch of nonsense, do you really want to be responsible for harming a family? Any decent human being wouldn’t. That is why you should work out some a solution with the buyer in the event that elevated radon is discovered. Our home inspection found radon levels to be just above recommended levels. Our test result during the home inspection was 4.6 pCI/L and a few years later it was 6.4 pCI/L. A local home builder highly recommended Adam at A-1 Radon and Vacuum. Adam described the options over the phone and we decided to go with an active system vented through our garage making it completely hidden. After our mitigation system was installed our test result was < 0.3 pCI/L. The installation was quick and they cleaned up everything leaving no mess. We're very happy knowing our radon levels are controlled, especially having two small children.